A long walk. 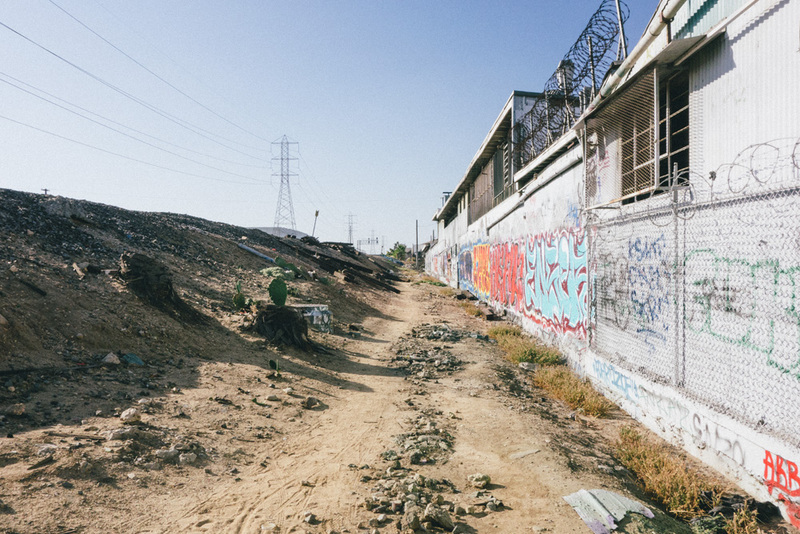 An "urban hike," if you prefer. I can't say that there is any grand unifying theme or topic for this walk, except that it will venture out into some of the same liminal spaces we explore on the weekly bicycle ride I co-organize, The Passage of a Few People Through a Rather Brief Moment in Time -- edges, borders, margins, places central yet peripheral, boring yet fascinating -- at the decidedly slower, more contemplative pace of travel by foot. We'll find that much of our route parallels the path of other flows: of goods, of water, of trains, of cars. Though largely overwritten by current forces, a few notable traces of the past will pierce through in the form of 50+ and 100+-year-old graffiti. The environment will be one of concrete, dirt, asphalt, and chain-link fence. While not revealing the precise route, below is a map of the general path we will travel. We will start at the Maravilla Gold Line station in East L.A. and end at the Lincoln/Cypress Gold Line station. Predominantly paved and flat, there will be a couple of segments of our journey on dirt, one of which will include some hills. We will also descend/ascend several steep (but short) concrete inclines over the course of the walk. The total distance will be approximately 12 miles. There will be bathroom/water stops around miles 4 and 8. There are easy public transportation bail-out options around miles 6, 7, 8, and 9 (though you can of course bail out at any time using a car-sharing service or by walking to a transit corridor). There is no planned lunch stop, so please bring food to tide you over for the duration of the walk. Bring: food, water, sunscreen, comfortable shoes. A small flashlight is not a bad idea. It is always hard to estimate how long something like this will take, but my guess would be that we'll reach our final destination somewhere in the 3:30-5pm range. In the event of rain, or an overwhelming chance of rain at some point in the day, the walk will be postponed. If this happens, I'll announce it on this page by 9am the morning of the event.